Right now I'm uploading a gallery for a client, and it is taking forever! (...because as usual, I took way too many photos! I really need to work on being so snap happy!) In the mean time I decided to do some quick blogging! For some reason my personal entries have been getting the most views, not sure why, we are so completely boring! Tiny farmer working the fields! Then it dawned on me, duh, people probably want to know who they are having photograph their families, I know I would! So needless to say, I will be throwing some personal entries into the mix from here on out! Wee! ...I'm still working on how to part hair, but these pig tails are dreamy! The other day I took Kennedy(my munchkin) to visit her dad at one of his offices. For those of you who don't know, I'm married to Mr. Hudson Valley, formerly known as Mr. Palm Beach! :) We both do real estate related things in New York and Florida. Husband is currently managing a few real estate offices, in Rockland County, Orange County and the other side of the river... I have no idea what county that is. This was our first time visiting the Fishkill office. After she wreaked havoc in their office for a bit we decided to go exploring. Downtown Fishkill is ADORABLE, and they have a Cracker Barrel and drive thru Starbucks, perfection. Someone in his office had mentioned there was an organic farm just on the other side of town. 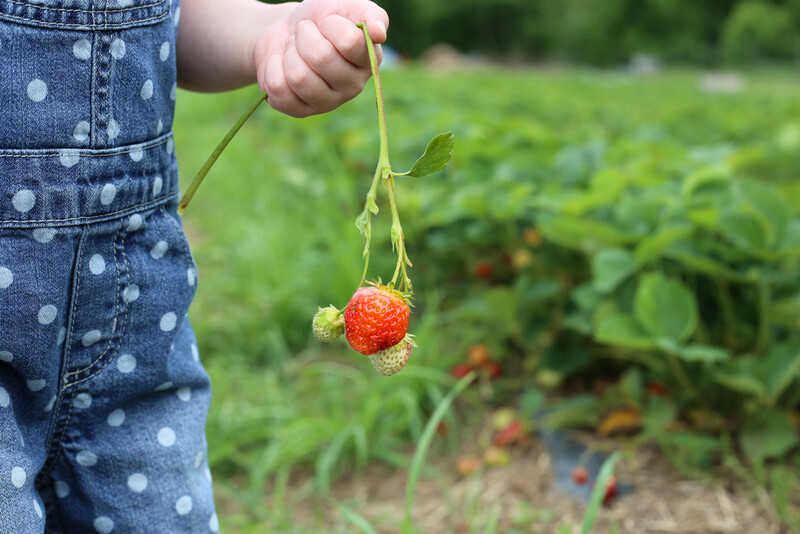 I'm obsessed with pick your owns, and this kid eats a few cartons of organic berries every week, naturally we had to check it out! This whole carton was only $5, way cheaper than the grocery store! 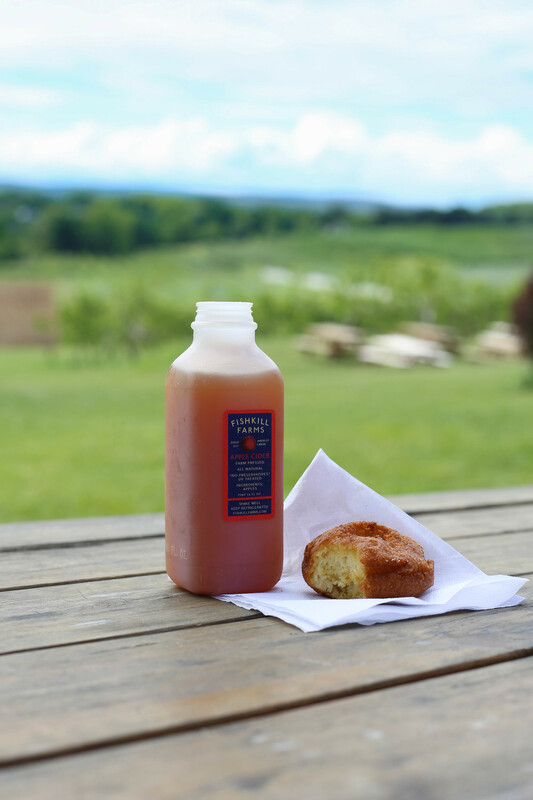 Fishkill Farms is fabulous! Easy to get to, and you can park close to the fields! Relatively stroller friendly too! The fields are alive with the sound of ...my screaming running away child. On the other side of the strawberry fields(forever) there is an amazing view, zillions of picnic tables, hop-hops(rabbits), chickens, a BBQ hut AND a country store! The store has ICE CREAM, APPLE CIDER DONUTS, PIES oh, and a bunch of organic produce. Kennedy won't stop talking about "Strawberry Farm"! We're excited to go back next week and pick some cherries ya'll!